 Do power struggles with your child keep you exhausted? • Do temper tantrums and emotional outbursts disrupt the workings of the household? • Are you jumping through hoops to try and keep your child calm and cooperative? • Do you try to set limits only to give up and give in? • Do you acquiesce just to keep the peace and save face in public with your child? • Does your child resist bedtime taking hours to fall asleep leaving you drained? • Is your preteen hooked on junk food and TV? • Is your adolescent disrepectful, unwilling to do chores? • Is your teenager ignoring homework and curfews? • Do you put up with the chaos too long and then "lose it" saying things you regret? • Were you raised with either too strict too lenient parents? • Do you feel out of control and ineffective as a parent? • Do you have a negative reaction to the word 'discipline'? • Use creativity, humor and playfulness. • Create lasting mutual respect. When I was a young child, I dreamt of being a mother and knew innately that children were special, vulnerable and needed protection. I spent many an evening, at dusk, on my grandmother's porch in Alabama telling stories to all my younger cousins, entertaining them, catching fireflies in a jar under the stars. My life work was cut out for me. There is nothing as sweet and pure as the innocent and unconditionally loving face of a young child. The world is new and the miracle of life is evident to them with every breath they take. Becoming a mother completely changed my life. My daughter is an adult today, but she inspired me in ways unimaginable when she came into this world. I began teaching and training in the Montessori Method of Education and graduated with honors and later embraced Waldorf education. I taught toddlers and preschoolers specializing in storytelling, drama, creative movement, arts, crafts and music. Art is powerfully healing and a kind of language of the soul. Play is the young child's work. They learn to live through their play. Teaching became the great love of my life, starting out in Montessori and transitioning into Waldorf in 1985. My education at Rudolf Steiner College was enhanced by private tutoring with a number of outstanding Waldorf educators, Bonnie River Bento being my long time mentor and special inspiration. I discovered a world that was magnificent and a great need to create programs to support and enhance the health, emotional well being and spirituality of today's children while providing a foundation for practical and educational success. I went from my living room in Sonoma County California, to a large site with numerous classrooms in Marin County, founding five schools in all. Two of them are still operating. 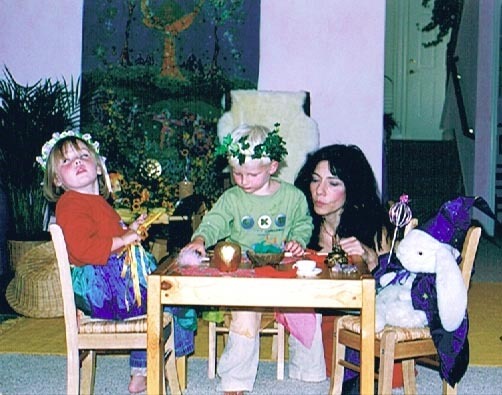 As founder, director, parent educator and teacher, my experience from infants to young adults, including the Rites of Passage Training for adolescents. I offer motivational programs and have taught art, creative writing, drama, nature and gardening programs, and communication skills. These serve as remedies for a number of issues such as feelings of exclusion, bullying, and low self esteem. For older teens, I teach Mars Venus dating skills as I am a certified Mars Venus Facilitator and Coach. One of my class parents, Dr. John Gray, author of "Men Are from Mars, Women Are from Venus", took a special interest in my parent education program and eventually hired me as a Director at the Mars Venus Institute on a larger scale, developing programs and assisting John significantly with the ideas, writing and editing of the "Children Are from Heaven" a parenting book and related workshops now taught worldwide. I have continued to write, teach and consult and am currently working on a book and a children's line of toys. I am also working on my Master's degree in Counseling Psychology in a weekend program at Argosy Univeristy in Alameda, California. It's the emotional and spiritual life of the child today that is at stake. Their pressures and issues for children have grown enormously since I began teaching over 20 years ago. Illiteracy, child obesity and school violence, for instance, have increased significantly. I welcome you join me on this journey to the heart of the child through the way of peace, compassion and creative thinking as Enlightened Parents shaping a healthy future. Sandra is currently available for consultation for parents, teachers and caregivers. Seminars and workshops available for individuals, groups and other organizations. For more information, contact Sandra using the contact form on this website.